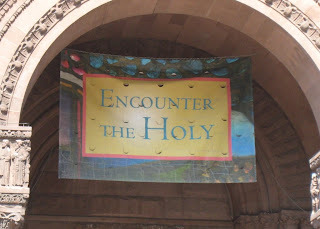 I would argue that "holy" is being used in adjectival form. There is just ellipsis of the noun it is modifying because the noun is deemed unnecessary. Another example of this phenomenon would be "An American lives on this street." The word "American" is an adjective, and the noun "man" or "woman" or "family" has merely been ellipted.